​You can be granted exclusive rights to Jungle Float for your area, with the purchase of multiple boats. It is assumed that your request for exclusive rights to a certain area comes from your confidence that Jungle Float will be a big success in the radius you have drawn. Exclusive rights would prevent us from selling boats to anyone but you in the radius you create and would obligate you to the purchase of multiple boats from Jungle Float. 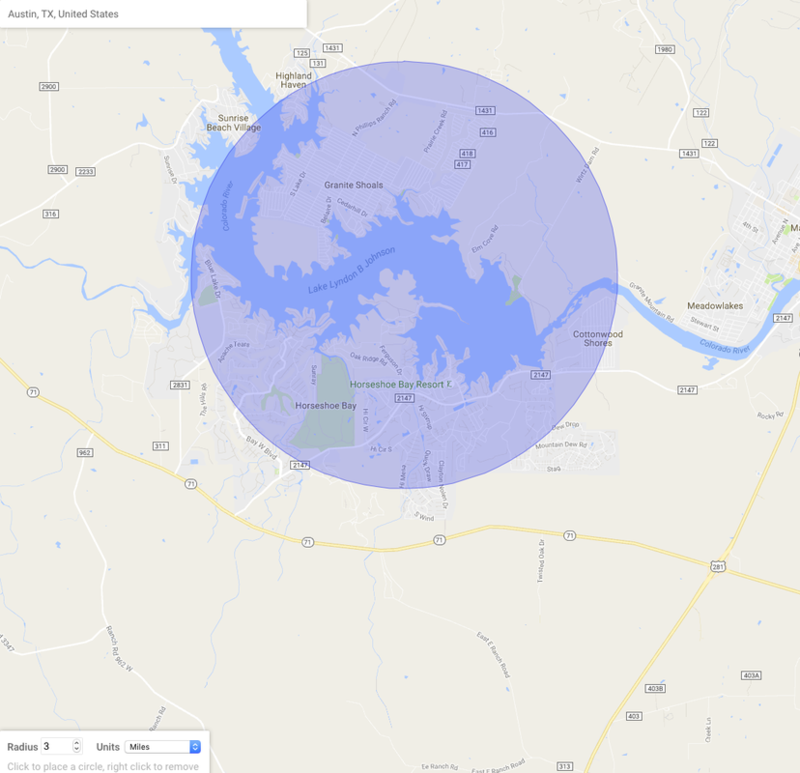 After you have submitted your Exclusive Rights Request, we will examine the radius you have drawn and determine the number of boats based on population of the area and tourism visits. The larger the number of people that frequent this area, the more boats will be required for exclusive rights. Remember, just because you have found a perfect hotspot, does not mean you must have exclusive rights. But in order to enjoy exclusive rights, you must be committed to the purchase of multiple boats. In some cases, you might be required to purchase one boat first and obligated to purchase a 2nd boat within 6 months to receive exclusive rights. In other cases, you could be required to purchase two boats up front and obligated to purchase two more boats within 12 months to receive exclusive rights. The reason we do not require you to purchase all boats up front is because we want to you to have an opportunity to establish your business operation and not worry about competitors approaching in the "window of time", but once that time has expired, boats must be sold to either you or someone else. With this arrangement, it allows Jungle Float to sell boats to you or someone else unhampered and allows you to profit from your early discovery of an excellent business opportunity without someone stealing it away. Remember, Jungle Float does not require any fees after your purchase: no franchise fees, taxes or obligations. This is the RADIUS TOOL. Watch this instructional video to show you how to use the RADIUS TOOL. Submit the Exclusive Rights Request to us, which will include your radius map and research. After we receive your request, we will return the number of boats and arrangement required for exclusive rights. The radius can be shrunken or enlarged to suit your needs, but remember the area is not under contract until a deposit has been received for the exclusive rights with the boat(s) sale. These areas are now taken. Your area can be a city, town, lake, water area, river section, part of a bay or even a mile radius of a hotspot on the water. Your radius does not need to be an entire lake or many miles wide! We must be able to find this area using google maps. Names such as "Bird Bay" or "Sparkle Lake" or "Hidden Beach" so we can research. Please help us with details.